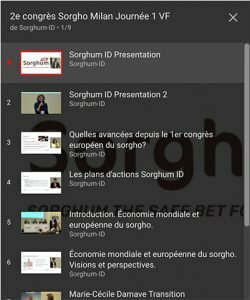 The highlights of the 2nd European Sorghum Congress are available in 19 thematic videos. 2 playlists are available directly in the video player. The videos auto play, or you can choose which playlist you want to watch.